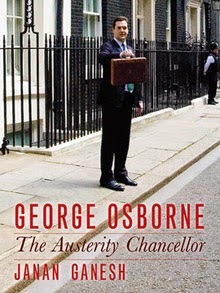 George Osborne, current Chancellor of the Exchequer in the UK, is the subject of a biography entitled “The Austerity Chancellor” by Janan Ganesh of the “Financial Times”. “Austerity” is obviously a relative term, given that, after four years of it, the UK still has the second largest structural deficit in the developed world after Japan, and debt that is £100 billion more than was planned back in 2010. Austerity is not over, in that current plans, accepted in principle by both parties are to turn the deficit of 5% of GDP into a surplus by 2019/20. Politicians who think the Northern Ireland block grant will be increased, if they protest enough, should keep that in mind. Janan Ganesh blames this continuing financial gap on the under performance of the overall EU economy, which provides the UK with its export market for its services and goods. 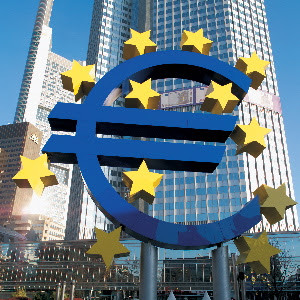 In that sense, Mario Draghi ‘s comment that he would do “whatever it takes” to underpin the European economy may have contributed as much to the recent recovery in the UK economy as anything Osborne himself did. George Osborne came from a comfortable London home, did his degree in history, and could have entered many professions, but chose politics from an early age. He worked first as a political advisor to the Major Government in the Department of Agriculture during the BSE crisis, and then to William Hague when he became leader of the Opposition. Although a metropolitan Londoner, he succeeded in being adopted as the candidate for the safely Conservative Tatton constituency, near Liverpool. He has always managed to stay close to whoever was leader of his party, and briefed several of them on how best to exploit the ordeal of Prime Ministers Questions. He has a talent for devastating one liners. His close and trusting relationship, as Chancellor, with Prime Minister David Cameron is in marked contrast to the destructive relationship that existed in the New Labour government between Chancellor George Brown and Prime Minister Tony Blair. According to Ganesh, Osborne is an unabashed admirer of Tony Blair, as a master politician, and holds Brown in ill disguised contempt. Osborne and Cameron do not have identical political views. Osborne is a classical liberal on social as well as economic issues. Cameron has a more sentimental streak, with his emphasis on “the Big Society”, an attempt to encourage voluntary organisations to be more active in tackling social problems. Will Osborne still be Chancellor after the General Election? Polls show that, while voters like David Cameron much more than they like Ed Miliband, 52% of them profess to “like” the Labour party, while only 33% “like” the Conservatives. Incidentally this is less than the 40%, who say they like the Lib Dems, which suggests that, despite huge efforts, the Conservatives have yet to shed the harsh image they acquired in Mrs Thatcher’s later years. Voters have low expectations of Ed Miliband, and this means that, in the campaign, he has an easier job than Cameron, unless he makes some big mistakes. All he needs to do is perform above very low expectations, and people will be favourably surprised. In contrast, the Conservatives will have the much more difficult task of exposing the contradiction between Labour’s professed commitment to eliminating the deficit, and their simultaneous opposition to “austerity”.